Canada-based CIBC has announced a promotional effort that will look to increase adoption of both NFC and mobile payments. 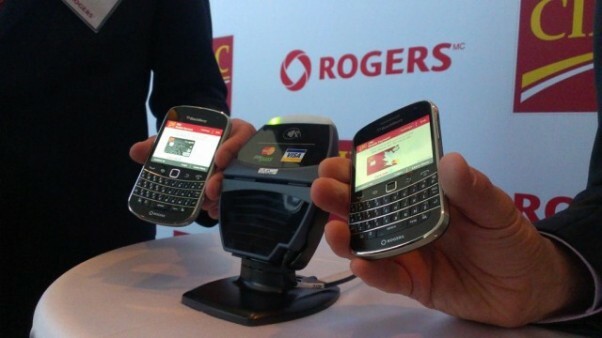 A Telecoms report reveals that CIBC will collaborate with Blackberry manufacturer RIM and Canadian telco Rogers. CIBC has launched a print magazine ad in Connected Rogers Magazine containing an NFC tag developed by Crosscliq. Tapping the NFC tag contained in the advertisement will allow readers access to a holiday gift offer. Readers can also obtain free BlackBerry apps, information on the new Blackberry 10 product line as well as a prompt to make contactless payments using Sure Tap— CIBC’s mobile app. The CIBC mobile payments app currently covers credit card purchases of $50 or less. To use the CIBC mobile payment app, users must possess an eligible CIBC credit card, an NFC-enabled BlackBerry Bold 9900 or BlackBerry Curve 9360 phone complete with an activated NFC SIM card and a data plan with Rogers Communications. Security concerns are abound after the recent string of compromised contactless purchases. Dubbed the ‘Eurograbber’ attack, fraudulent purchases were made using malware to target users’ PCs and mobile handsets. According to security vendors Check Point and Versafe, the hackers were able to make automatic transfers ranging from €500 to €250,000. The malware included a bot attack known as the Zeus Trojan or Zitmo that infected computers and mobile handsets, allowing the hackers to intercept and steal SMS messages sent by banks to their customers. The stolen transaction authentication numbers on the stolen SMS messages were then used to withdraw funds directly from the victims’ accounts. The CIBC app is hoping to address these concerns by using encryption technology to store customer credit card information on the chip of the smartphone. RIM’s partnership with CIBC comes at an ominous time for the handset maker— who reported a net loss of $114 million for 2012. RIM is also fighting an uphill battle with rivals Samsung and Apple for smartphone dominance in North America. For more information on the CIBC/RIM collaboration see the full Telecoms story here.